Displaying 1-17 of 17 Found. 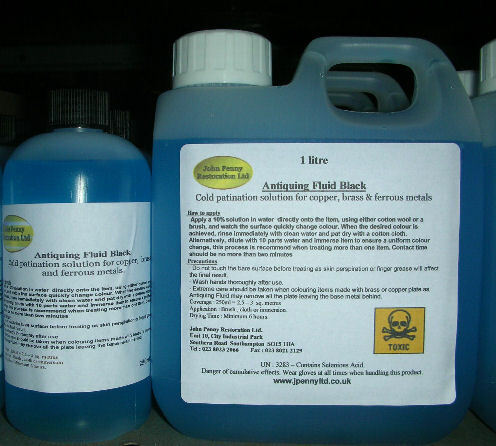 Will chemically neutralise rust, degrease and dehumidify metal surfaces prior to treatment with paints or cold patination products, including Antiquing Fluid. 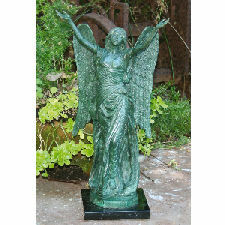 Will also remove heavy tarnish from brass and copper. 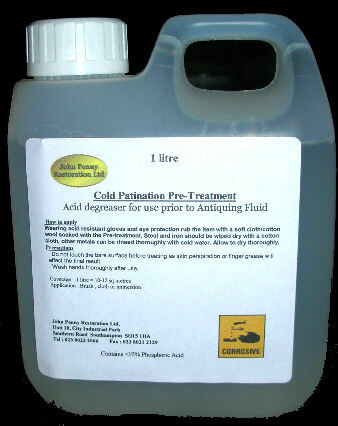 Cold patination fluid for producing a green "verdigris" effect on all cuprous metals and alloys, including copper, brass & bronze. Liberon Wood Bleacher is an oxalic acid based solution for removing water, ink, rust, alcohol and mildew stains in bare or sanded timber. 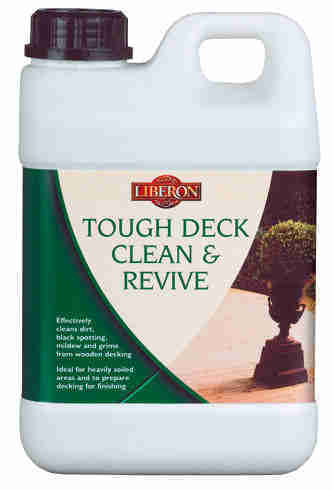 Liberon Decking Cleaner is ideal for cleaning old, tired and dirty natural wooden decking which has dulled and faded over time, prior to re-oiling. Prevents blistering caused by silicone in lacquer finishing. Add a drop to the spray gun before commencing work. Denatured alcohol blend for general workshop use. Used for diluting French polish, washing off paint stripper etc. 25% w/w concentrated acetic acid. 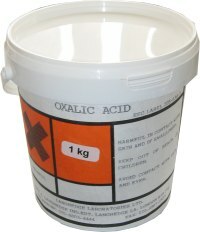 Used mainly in diluted form as a neutralizer for caustic soda after dip stripping. 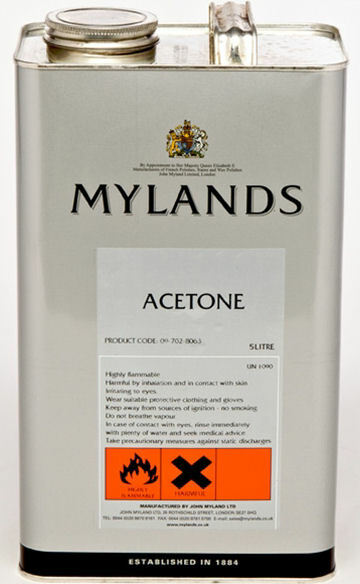 Acetone is a very versatile general purpose solvent. 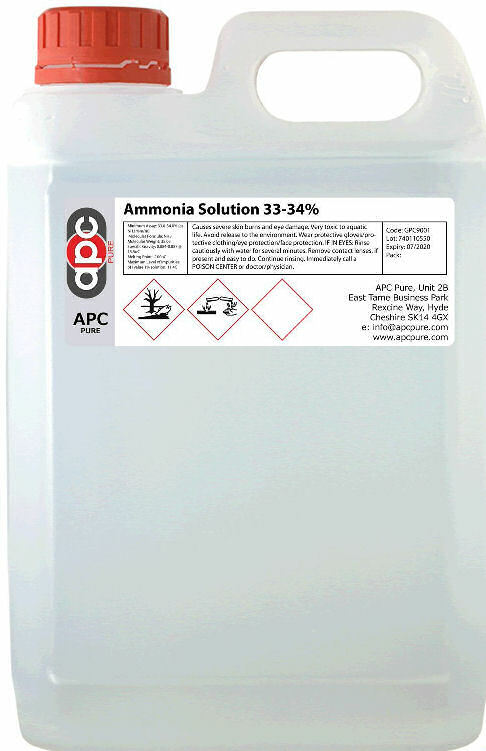 Concentrated 33-34% w/w ammonia solution. Used in conjunction with "B" bleaches (peroxide) as a wood bleaching system. Water and methylated spirit soluble oxalic acid crystals used extensively as a wood bleacher. Will lighten or eliminate water, ink, alcohol and mildew stains on new or stripped timber. Will also lighten the wood itself in varying degrees. Poisonous - keep out of reach of children. Sodium Siicate solution used as the first part of the "AB" wood bleaching system. This is applied to the timber initially and left to soak in. The "B" bleach is then applied over this. 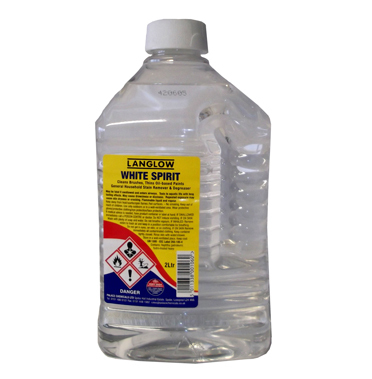 Hydrogen peroxide solution used in conjunction with the "A" bleach as a powerful wood bleaching system. See "A" bleach for description. 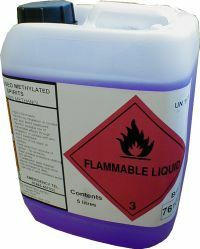 General purpose cleaner and solvent for oil based materials including paint, polyurethane varnish etc. Lakeone Wood Whitener allows easy in-depth removal of colour from all red and dark woods. Can be used to turn red wood into pine and oak coloured wood. Langlow Wood Preserver is an anti fungal timber treatment for use on all bare interior and exterior wood prior to sealing. Recommended for use under the Fiddes Exterior UV Oil. Paramose Stripper is a strong fast acting solvent stripper for removing paint, varnish and lacquers.